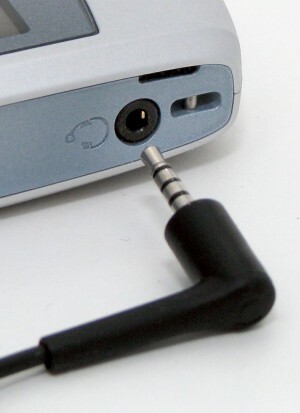 A small round connector for accepting the pin-shaped plug from certain phone headsets. This connector can be also be used with certain other types of accessories. While 2.5mm was the original standard for phone headsets, the slightly larger 3.5mm size is standard for music headphones and is now the more common size on phones. Either size can support stereo sound and/or a microphone, depending on the number of separate connector rings on the plug and jack. 2.5mm refers to the approximate diameter of the connector. 2.5 and 3.5 mm connectors look very similar, differing only in size.